Burgess’s career as a broadcaster began in 1955, when he wrote and presented a weekly series of educational programmes for Radio Malaya. Although these broadcasts were pre-recorded at a studio in Kuala Lumpur, no scripts or recordings have so far come to light. Burgess’s first radio interview (with Patricia Brent) was broadcast by the BBC Third Programme on 9 May 1959, shortly after the publication of Beds in the East, the third volume in his Malayan trilogy. From 1960 onwards he contributed to a number of radio programmes, including Woman’s Hour, Children’s Hour and The World of Books. Burgess interviewed Paul Scott and V.S. Naipaul for BBC radio, and was himself interviewed by Peter Duval Smith and Julian Mitchell. A number of his radio talks and features were published in the Listener. His Desert Island Discs interview with Roy Plomley was broadcast on 28 November 1966. 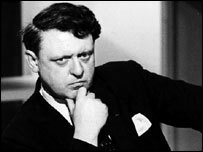 His earliest television appearance dates from 1962, when the BBC’s Tonight programme presented a dramatized extract from A Clockwork Orange. In 1963 Burgess became the television critic of the Listener, and he continued in this role until he left England in 1968. In 1965 he travelled to Dublin with the television producer Christopher Burstall to make a documentary film about the life and work of James Joyce. This was broadcast on 20 April 1965 as part of the Monitor series, edited by Jonathan Miller, under the title Silence, Exile and Cunning. 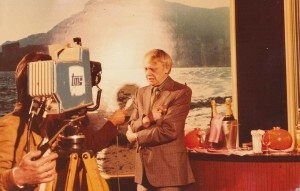 Burgess also appeared on a literary quiz show, Take It or Leave It, chaired by Robert Robinson, who later interviewed him in Monaco for The Book Programme in 1976. In 1968 Burgess wrote the script and music for an ambitious Hollywood film about the life of Shakespeare. The project, called The Bawdy Bard, was eventually cancelled by Warner Brothers, but Burgess was able to redeploy much of his research in his Shakespeare biography, published in 1970. Some of the songs from the Shakespeare film appear in the novel Enderby’s Dark Lady (1984). Moses the Lawgiver, an epic TV mini-series written by Burgess and starring Burt Lancaster as Moses, was broadcast in 1975. The director was Gianfranco di Bosio. 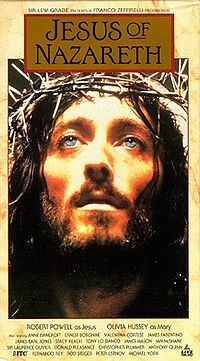 Jesus of Nazareth, written by Burgess, directed by Franco Zeffirelli and featuring Robert Powell as Jesus, was broadcast in April 1977. Burgess’s working titles for this series had been ‘Christ the Tiger’ and ‘Jesus Christ and the Love Game’. In May 1977 Burgess completed his James Bond film-script, The Spy Who Loved Me, commissioned and subsequently rejected by Albert R. Broccoli. Other unproduced film scripts include ‘Blasts from the Smallest Room’ (based on the first two Enderby novels), ‘The Black Prince’, ‘The Sexual Habits of the English Middle Class’, ‘Attila’, ‘Transvaal Episode’ (from the novel by Harry Bloom), ‘Samson and Dalila’ and ‘Eternal Life’, adapted from the French novel by Jacques Attali. Grace Under Pressure, Burgess’s TV film about Ernest Hemingway, was broadcast by ITV in 1978, coinciding with the publication of Burgess’s illustrated biography of Hemingway. In 1980 he returned to Malaysia with the director David Wallace to make another TV film, A Kind of Failure, in which he reflected on how Malaysia had developed since his departure in 1957. The programme was broadcast on 15 January 1981. Blooms of Dublin, Burgess’s musical play based on James Joyce’s Ulysses, was broadcast by BBC Radio 3 and RTE on 2 February 1982, to mark the centenary of Joyce’s birth. In the same year Burgess made a documentary about James Joyce and Igor Stravinsky, Make It New, for Swedish television. In 1985 he made a TV documentary, The Rage of D.H. Lawrence, directed by Jill Freeman, to coincide with the publication of Flame Into Being, his critical book about Lawrence. Burgess’s musical settings of four poems by Lawrence were performed in Nottingham in the same year. 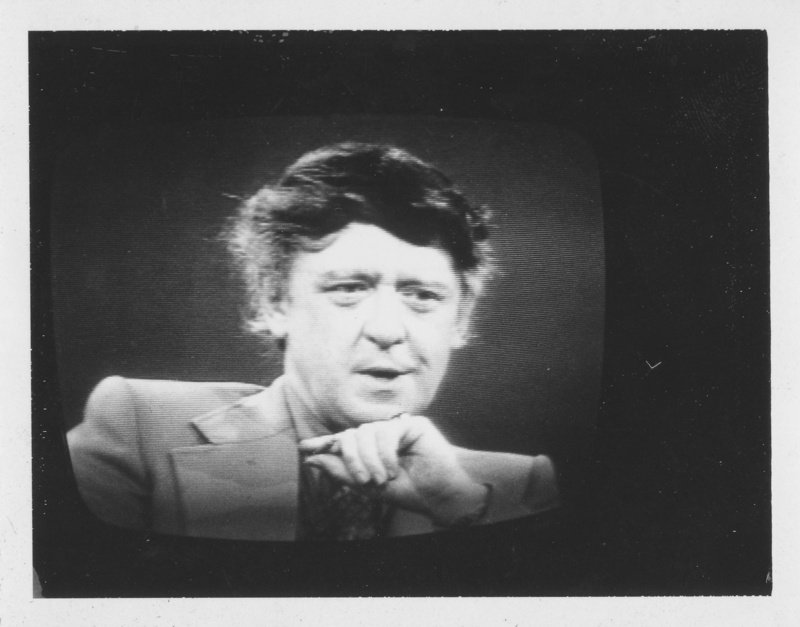 Kevin Jackson’s television documentary Burgess at Seventy, filmed on location in Venice, was broadcast in February 1987. Jackson went on to write a two-part documentary, The Burgess Variations, produced and directed by David Thompson, broadcast in December 1999. In 1989 Burgess wrote a radio adaptation of St Winefred’s Well, an unfinished play by Gerard Manley Hopkins. The play was broadcast on BBC Radio 3, with new dialogue and incidental music by Burgess, on 23 December 1989. 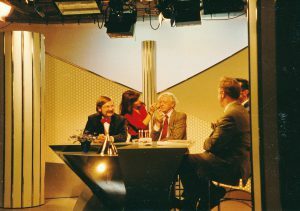 Among the many TV interviews with Burgess, one of the most revealing is his Face to Face interview with Jeremy Isaacs, first broadcast on BBC2 on 21 March 1989. The full programme may be viewed on the BBC website. Homage to AB, William Boyd’s radio play about Burgess’s life and music, was broadcast by BBC Radio Scotland on 21 August 1994, with John Sessions playing the parts of Burgess and Enderby. Inside Mr Enderby, performed by Robert Stephens and adapted for radio by David Benedictus, was broadcast on BBC Radio 4 in December 1995.